What is SEO? SEO stands for Search Engine Optimization, and it is the practice of optimising your webpages to send signals to the search engines that your pages should be ranked in the SERPs (search engine results pages) ahead of your competitors. How does SEO Work? There are hundreds of ranking factors that search engines take into account when ranking pages. But at the top level, the three core SEO (search engine optimisation) practices fall under: content generation, links, and technical optimisations. How do you measure SEO? You monitor your positions for a series of search phrases in the SERPs (search engine results pages) using custom software. You can also monitor your competitor’s positions. Then practise great ethical SEO, and measure the impact your work has over time. So… how does SEO Work? Many badly optimised websites already have masses of unique content, not being optimised as it could. A big part of SEO is auditing all of that content and ensuring it not only adds great value to the end user, but also is optimised for search. We can then work with you to develop a content strategy that lets you speak to your target audience and also grow your search rankings. Link building: it’s not easy! Getting the wrong links to your website can be detrimental to results. Building a fantastic network of links will be a key part of ranking top for any target search phrases. Part of our process of optimisation even includes removing bad links via Google Search Console. Nowadays it is more important that quality is better than quantity, and we use two key metrics to judge the quality of a donor site: trust flow and citation flow. Profiles, directories, forums, social networks, blogs, news websites, industry websites and local websites are all great sources of links to build popularity with search engines. We have created millions of links for our clients and our company has a team of in-house, full-time link outreach specialists who build quality links over time. The strength of any aged website is a great asset which needs to be harnessed correctly. Having strength and content is not enough, unless the key technical elements for SEO are right. Our technical team will look under the hood at the code that Google sees. We will review and amend technical aspects of your website such as keyword density, meta data, code to text ratio and internal links which are crucial for success online. The SEO Works can then help your business take advantage of the content you have and existing strength of your domain. How do you choose someone who knows how SEO works? When you are searching for trusted search engine optimisation companies, there are many questions you will be asking yourself. Because you have to pay for great rankings, it’s vital to make 100% sure you select the solution from a reputable SEO agency. You should ask them about previous results, their own rankings, awards they have won, how they measure success, and how transparent they are in delivering an SEO service. So why choose The SEO Works? Our company manages 100+ websites for clients across the UK, we know how SEO works! Why is The SEO Works Different? In the SEO industry it’s easy to hide. There are more than 100 websites offering SEO services, and we are sure you get many emails offering the same thing. The one thing they have in common? They are not visible! We believe as a company the proof is in the pudding and the regular awards we win for our work show that even the industry recognises the impact we make for our clients. The SEO Works places a great emphasis on bridging the gap between poor SEO companies who can hide behind bad performance, and the professional expertise they really need to succeed. Over ten years we have developed an unique methodology that applied over time generates strong organic results. Our team is on the ball when it comes to industry changes. Our SEO blog is a chronicle of all things optimisation, including the latest news from Google webmaster central, industry chatter and more. SEO changes all the time. Digital marketing changes all the time. Technology is constantly evolving. We have an experienced SEO management team, with hundreds of combined years of SEO experience, dedicated to understanding what’s required to dominate the search engine results. How Does SEO Work on a campaign basis? Hopefully this post gives an insight into how SEO does work. But you shouldn’t have to worry about that too much, just leave it to experts and get on with focussing on your core business priorities. A campaign will look to address the issues of your site in order to improve it’s overall organic visibility over time. The SEO Works applies commitment, consistency, expertise and most importantly – sustainability. As the preferred partner of over 100 UK based companies, we are proud to be considered the leading SEO company in the UK. Keyword research for target phrases which will attract the right traffic. Competitor research to identify how your competitors are performing and discover other competitors you might not know you had. Overall digital benchmark and development of an overall strategy and key KPI’s. Support from our expert management team. This includes on-site, face to face, email and voice calls. 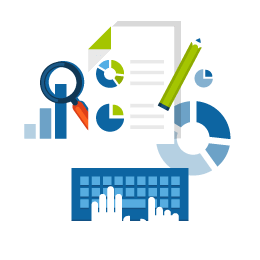 On-site SEO support including content management, internal link building and meta work, compliance support and HTML structure. Hours and hours of manual link building services, increasing your websites popularity with search engines and increasing referral links. New content creation from our team of journalists, researchers and writers. Off-site search engine optimisation services such as article writing and submissions, content creation and outreach for back-linking plus extra brand exposure. Unlimited support from our account management team for on-going advice – regarding SEO queries such as new content, URL structuring, link building best practice methods etc. We show you our efforts so you can understand the process, making all our website marketing services tangible. Included as standard; monthly comprehensive reports for key-phrase movement, traffic summary and our off-site work. To get moving towards better rankings, traffic, sales and ultimately profits – contact us online or call today on 0800 292 2410. We really know how SEO does Work.